Historically, Haritaki has been used for healing and higher consciousness for thousands of years. Its use is well documented in India, Nepal, Tibet, Thailand and in many other areas of South East Asia. In the Aryuvedic and Siddha healing systems of India, Haritaki was known as “The King of herbs” and was used to: “Increase energy, intelligence and awareness”. 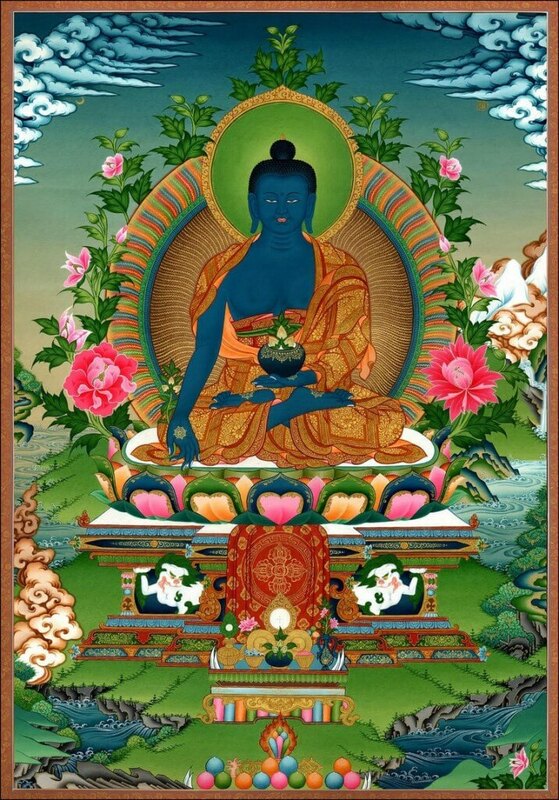 In Buddhism, Haritaki was so well known that it appears in both hands of all the paintings of the major healer, the Medicine Buddha, where it is called “The Supreme Nectar that Illuminates the Mind”. These painting date back to the 7th century. Unfortunately, what has happened over the last 100 or more years is that many of the powerful effects of Haritaki have been left untold. 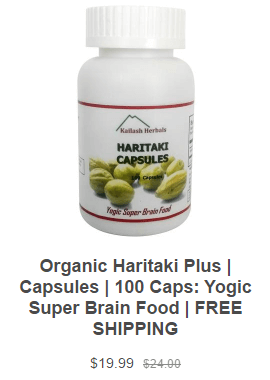 We read that Haritaki is good for a range of physical ailments, but not that it is a most powerful brain enhancer. What happened to the knowledge about Haritaki increasing intelligence as quoted from Yogis, Siddha masters and Ayurveda practicioners? What happened to the Buddhist’s use of Haritaki as “The Supreme nectar that illuminates the Mind”? It appears that with the decline in the number of sincere seekers over the last century, the knowledge of Haritaki as a transformational herb was also lost. When I say transformational herb, I am not speaking of any Hallucinogenic properties. When taking Haritaki many people find the major experience is not anything that indicates that the brain is transforming. Instead they experience an increase in bowel movements! Modern medicine indicates a correlation between emotional/mental well-being with a healthy colon. The colon, nicknamed “the second brain”, connects with every part of the body. Like the brain, the colon’s nerves are connected to every part of the body and will register and retain information, memory, and feelings of any experience that happened anywhere in the body. Also, like the brain, the colon can initiate memory and send messages to all parts of the body. Science is even researching a theory the colon might have a subconscious! Finally, this video here shows a wonderful painting of the Medicine Buddha holding Haritaki, enjoy the sound track in the background.